DEAR JERRY: One of the very first 45s I wanted was Boyd Bennett's “Seventeen,” from the summer of 1955 when rock and roll was new. As a teen who knew nothing about cover records, I was surprised to find several different versions of that song for sale. That was my introduction to covers. I later learned how quickly the original versions of most popular songs in the 1950s faced stiff competition from other labels wanting a piece of the sales pie. Jumping ahead 10 years, it seems cover versions were practically non-existent. Would you agree? —Sandy Stover, Santa Rosa, Calif.
DEAR SANDY: Not exactly, only because covers were still fairly common in the 1960s. There were far fewer then than a decade earlier, and were rarely successful, but not uncommon. I can quantify this using the Cash Box Top 40 (which routinely listed both originals and covers) for the last week of August 1955 — when you bought “Seventeen” — followed by the Top 40 for the same week of 1965. Note also that only single releases can accurately be considered covers. An LP track can never be a true cover record! Somewhat surprisingly, 10 years later the numbers are almost exactly reversed. There was another song from those days with a similar theme. It's either Roy Clark or another tenor with a beautiful voice. I thought the title to be “Minstrel in My Time,” but my searches for those words result in nothing helpful. What is it, who wrote it, who sings it, and where can I find it? You have every reason to associate this poignant ballad with “Yesterday, When I Was Young,” because both express a comparable sentiment, and both are from the pen of the legendary Armenian-French singer-songwriter, Charles Aznavour. The recording you seek is probably by Glenn Yarbrough, and is easily available on his 1996 CD “Live at Harrah's Reno” (Increase B00003Q07E) — truly a tour de force performance. Neither the Beatles nor Elvis Presley ever made a cover record! Never. Not even once. Both artists recorded lots of other people's songs, but never as a single to compete with someone else's original. Presley even refused to allow RCA Victor to release a single of his “Blue Suede Shoes” until after the Carl Perkins original ran its course. He didn't want his friend Carl to lose sales. Throughout his life, Perkins often referred to this as one of the kindest things anyone had ever done for him. Andrew Bird's upcoming album 'Break it Yourself,' will be released on March 6 via Mom + Pop Music. 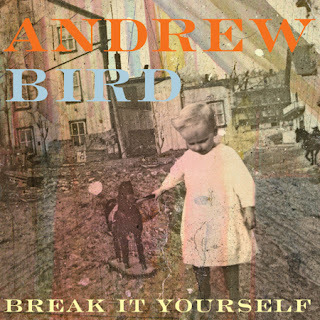 Starting on March 15, Bird will be emarking on an extensive spring tour in support of the album. 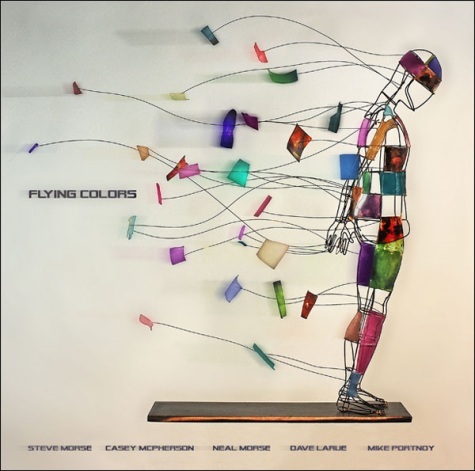 To coincide with the 100th birthday of Woody Guthrie, My Morning Jacket’s Yim Yames, Son Volt’s Jay Farrar, Centro-matic’s Will Johnson and Varnaline’s Anders Parker have recorded an album featuring previously unrecorded Guthrie lyrics. 'New Multitudes,' comprises interpretations on 12 Guthrie compositions, most of which were written during his time in Los Angeles. 'New Multitudes' is scheduled for release on February 28th via Rounder Records and as a limited edition which features original Guthrie lyric sheets, the 12 track release, and 12 additional compositions recorded by Farrar and Parker. The album will also be available on vinyl. 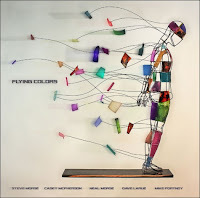 Mascot Label Group has announced the release of the eponymous debut album from FLYING COLORS — the spectacular new virtuoso prog/pop/metal rock band formed by drummer Mike Portnoy (ex-DREAM THEATER) and guitarist Steve Morse (DEEP PURPLE). The CD will be made available via Music Theories Recordings in the U.K. on Monday, March 26, followed by a U.S. release on Tuesday, March 27. 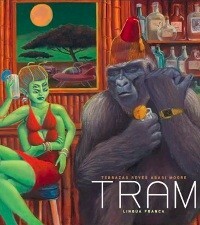 T.R.A.M. is a new 'supergroup' that features members of The Mars Volta, Animals as Leaders, and Suicidal Tendencies, will be issuing 'Lingua Franca,' their debut album, on February 28th. Comprised of such renowned musically proficient artists as Adrian Terrazas (The Mars Volta) on saxophone, flute, bass clarinet and percussion, Javier Reyes (Animals as Leaders) on guitars, Tosin Abasi (Animals as Leaders) on guitars and Eric Moore (Suicidal Tendencies) on drums, the band formed in 2010 and made their live debut at SXSW last year. Terrazas states: "Tosin Abasi and I were originally introduced by a mutual friend, Raanen Bozzio, last summer. This meeting also served as my first introduction to Animals As Leaders and Javier Reyes. Since then, Abasi, Reyes and I have developed a great relationship. We got together almost every day to try out ideas and after a month we had already formulated a majority of the record. At this point we contacted Eric Moore, an incredible drummer and the most joyful person to be around, and soon everything we had envisioned rhythmically came together on our first meeting/recording session (at the Farias productions studios) on what is now T.R.A.M." 5. My Morning Jacket - Friends Again 7"
16. Brendan Benson - Upstairs At United Vol. 1 12"
17. Cory Chisel - Upstairs At United Vol. 2 12"
Born on this day in 1895, Laurens Hammond, inventor of the Hammond organ. The sound of the Hammond was used by many rock artists including; Procol Harum, Keith Emerson, Led Zeppelin, the Allman Brothers and the Faces. Hammond died on July 3,1973. Born on this day in 1924, Slim Harpo, blues musician. Died of a heart attack on January 31,1970 aged 46. In 1928, Paul Whiteman & His Orchestra, with vocalist Bing Crosby, recorded "Ol' Man River." By spring it was the #1 record in the U.S. and the 26th of the band's 32 chart-toppers between 1920 and 1934. In 1956, in Nashville, Elvis Presley recorded "I Was the One" and "I'm Counting On You." Also in 1956, after changing their name from the Robins, the Coasters record their first tracks for Atlantic Records in Hollywood. The L.A. quintet would crack the Hot 100 the following year and place six consecutive hits in the Top Ten. The now world famous Los Angeles night club, The Whiskey A-Go-Go, opened its doors in 1963. Johnny Rivers, Alice Cooper and Kansas have recorded live albums there. Rivers also recorded two Top 10 singles, "Memphis" and "Seventh Son", live at The Whiskey. In 1964, "Louie Louie" by The Kingsmen was the number one song on the Cash Box music chart. For a while, the record was banned by a handful of US radio stations because of its indecipherable lyrics, which were rumored to contain some naughty words. Even the F.B.I. investigated the song, but finally concluded that they could find nothing wrong. In 1964, Roger Miller recorded "Dang Me" and "Chug-A-Lug." 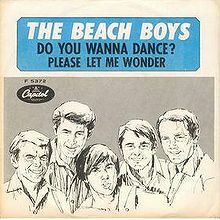 In 1965, the Beach Boys recorded "Do You Wanna Dance," which became the highest-charting Beach Boys song featuring Dennis Wilson on lead vocals. In 1967, Jimi Hendrix started recording "Purple Haze." It was completed on February 3, 1967. "I dream a lot and I put a lot of my dreams down as songs," Hendrix said in a 1969 interview with the New Musical Express, "I wrote one called 'First Around the Corner' and another called 'The Purple Haze', which was all about a dream I had that I was walking under the sea." The term "purple haze" has been used to refer to LSD, due to the form sold by Sandoz, called Delysid, which came in purple capsules. 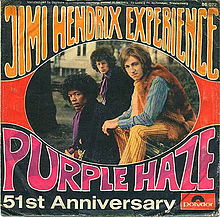 The phrase itself appears in print as early as 1861, in Charles Dickens' Great Expectations, chapter 54: "There was the red sun, on the low level of the shore, in a purple haze, fast deepening into black..." Although, Hendrix himself stated that the song was partially in reference to a sci-fi story entitled "Night of Light" by Philip José Farmer. In it, "purple haze" is used to describe the disorienting effect of sunspot activity on the inhabitants of a planet called Dante's Joy. In 1967, Johnny Cash and June Carter recorded "Jackson." 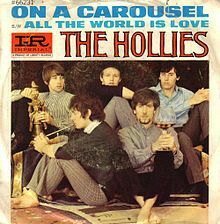 Also in 1967, at EMI's Abbey Road Studios in London, the Hollies began recording "On A Carousel." The track was completed two days later. It was the Hollies first A-side in which Graham Nash sings lead vocals, although only for the first few lines. "On a Carousel" was the Hollies' second-to-last single in the US to be released by Imperial before the band switched to the Epic label. 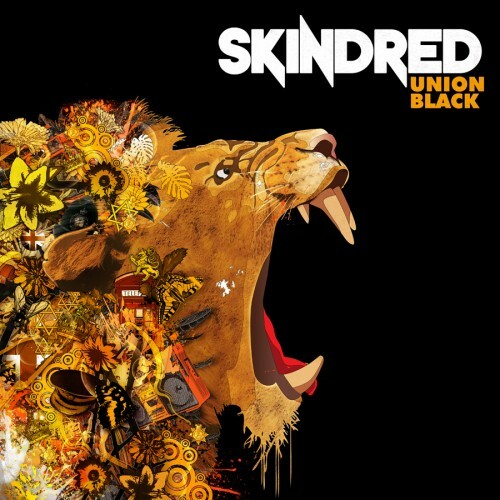 The song was a hit in the UK, peaking at #4 on the single charts. It was also a moderate hit in the United States, peaking at #11 on the Billboard chart. In 1968, according to London's Daily Mirror newspaper, Jimi Hendrix moved into the townhouse where Handel is believed to have composed his famous works, "Water Music" and "Messiah." Jimi was quoted as saying he "will not let the tradition down," that he planned to compose music in the house also. In 1977, a London court found Keith Richards of the Rolling Stones guilty of possession of cocaine after it was discovered in his car after a traffic accident. Richards was fined £750. In 1985, a Brazilian rock Festival held in Rio, claimed to be the biggest ever staged. The festival featured; Queen, Rod Stewart, AC/DC, Whitesnake, Yes and Iron Maiden. In 1990, in London, Paul McCartney played the first of 11 sold-out nights at Wembley Arena. 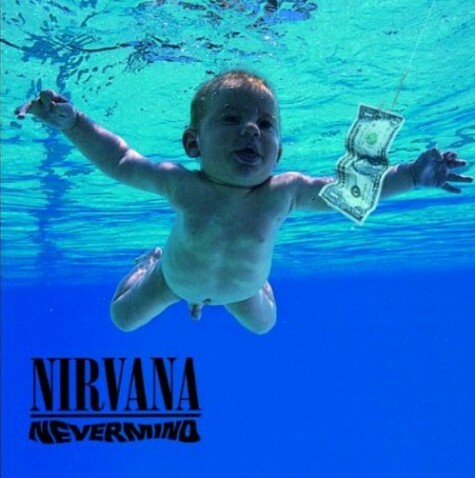 In 1992, Nirvana appeared as the musical guests on NBC-TV's "Saturday Night Live," where they performed "Smells Like Teen Spirit" and "Territorial Pissings." 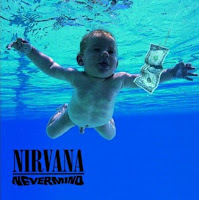 Also on this day the group’s 'Nevermind' went to #1 on the US album chart. In 1999, guitarist/singer Barry Pritchard, a founding member of the Fortunes, died after a heart attack at 54. In 2000, Richard "Dimples" Fields, an American Soul singer most often remembered for his 1982 hit, "If It Ain't One Thing, It's Another", which reached #1 on the Billboard R&B chart and #47 on the Hot 100, died following a stroke. He was 58. In 2002, drummer Mickey Finn of T. Rex died of kidney and liver problems at the age of 55. In 2003, Britain’s oldest rockers came out winners in The Pollstar listing of the Top 10 grossing US tours of 2002: Paul McCartney $68m (£40m), The Rolling Stones $58m (£34m), Elton John $47m (£27.6m), The Who $20m (£11.8m), Ozzy Osbourne $18m (£10.6m), Peter Gabriel $10m (£5.88m), Yes $6m (£3.5m), Elvis Costello $5m (£2.94m), The Moody Blues $4m (£2.35m) and Jethro Tull $3m (£1.76m). In 2004, Ted Nugent required 40 stitches when a chain saw cut his leg during the filming of his reality TV show. In 2005, singer/guitarist James Griffin, a founding member of the group Bread, died of lung cancer at the age of 61. Also in 2005, drummer Spencer Dryden, who played with Jefferson Airplane, New Riders of the Purple Sage, the Dinosaurs, and was a nephew of Charlie Chaplin, died of colon cancer at age 66. In 2006, the Beach Boys filed a law suit seeking millions of dollars in damages from two California men, claiming they stole a collection of photos, recordings and other band memorabilia from a warehouse with the intent of putting the items up for auction.